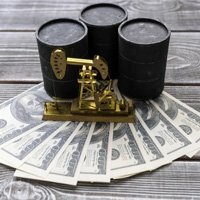 Three Profit Plays for the "American Energy Revolution"
For more than two years, we've been hearing pundits say "Oil's going to stay lower for longer." And Kent has consistently said oil prices may be depressed, but that eventually we'd see market balance, which would provide higher and higher "floors" from which crude prices can move up. But, according to Kent, that's only part of the story. That's why he was asked to appear on the China Global Television Network - to discuss whether this rise is connected to events in Saudi Arabia, or U.S. oil exports, or something else entirely. Because, as Kent will tell you, the biggest crude oil profits go to investors with the best grasp of the complete market picture. I won a science fair at age 12 by making a "perpetual motion" machine. It really didn't do very much, but it was kind of cool. It used ions in a closed container, running them through a charged screen between magnets. Since the charge was constantly changing, the ions repeatedly moved between the magnets. By putting a simple drive shaft mechanism through the center, I could light a (very) low-wattage bulb... or at least make it flicker. In fact, I called it a "flicker tickler." OK, remember, I was only 12. Last week, my experiment was brought back to mind by the release of an intriguing report. We may be looking at a huge advance in energy technology here, with massive implications for your energy holdings. See, the continued improvements in renewable energy sources like solar and wind have ushered in a serious conversation about what the energy balance will look like in the future. As I've said, this isn't about any one "silver bullet" that will replace all energy sources. It's not even about the death of hydrocarbons. Rick Perry ordered the Federal Energy Regulatory Commission (FERC) to change its rules on power plants in a bid to save the coal industry. His proposed rule is effectively a new coal subsidy to keep the industry alive. Natural gas just claimed another victory over clean coal. Southern Company announced it's converting its failed $7.1 billion clean coal power plant into a natural gas-fired facility. The June 1, 2017, announcement that the U.S. government intends to withdraw from the 2015 Paris Climate Agreement barely budged energy stocks, coming as it did after five months of dismantling environmental regulation. Outside the markets, however, the announcement was greeted with a firestorm of international media coverage, condemnation and support, and cheering and hand-wringing from every corner. Now, the withdrawal may not have much immediate effect. As I said, the markets took it in stride, and it will take at least four years - longer than Trump has left in his first term of office - for the United States to exit the agreement. I mean wind and solar, of course. Dr. Kent Moors reveals the "OBL Superfuel" that will ignite a $7.2 trillion economic revolution, larger than the shale oil boom. With demand rapidly increasing 11 times the current level, the price of this fuel has doubled in just months, creating fortunes for those who staked a claim. We don't know too much about the Donald Trump energy plan - but we know enough to see a major opportunity for certain U.S. energy companies and their investors. What we do know is the centerpiece of the Trump energy policy is to "achieve energy independence" for the United States. OBL energy is a revolutionary new fuel source with unparalleled capabilities. Because of its incredible potential, the market for this new fuel we call "Oro Blanco" could grow to a $7.2 trillion industry. Dubbed at the "Holy Grail" of energy, "white gold" fuel is on the verge of a meteoric rise that has a nearly unlimited profit potential. And our experts have identified a small miner that is sitting on a $20 billion claim that is ready to explode in price. The Baltic Dry Index is a huge indicator of global economic health. But some investors and economists debate whether or not it's a valid tool anymore. This "superfuel" is making a buzz, but what is "OBL"? This "Holy Grail" of fuels is likely to surge from $29 billion to $7.2 trillion, and this one tiny miner has control over a significant portion of the market. Oro Blanco fuel is a new source of energy that's so powerful it could lead to total American energy independence. And that's why the market for OBL fuel could surge from $29 billion to $7.2 trillion. It's likely the United States is now just five to 10 years from attaining "energy independence." We're on the brink of a completely new era, with huge implications for investors across the broad spectrum of energy segments. During the 2016 campaign, then candidate Trump promised "we're going to save the coal industry." But can Trump save the coal industry? OBL fuel is a new energy form that's over 1,600 times more powerful than gasoline. And it's about to spark a historic $7.2 trillion energy revolution.